Laurie Stevens’ work is diverse – landscape and figurative – but her pieces are all connected by a strong sense of narrative. They tend to reflect and explore the wild, resilient, windblown beauty of the American west. As an artist, she finds endless inspiration in small daily wonders: the first crocus of spring, the resilient beauty of the plains, the interaction of her wild animal neighbors, or that special sense of hope and possibility that is found only in the wide open. Stevens is also interested in regional history, particularly the reservation period. That was a time of great change in which westward expansion greatly affected the landscape and all living upon it. 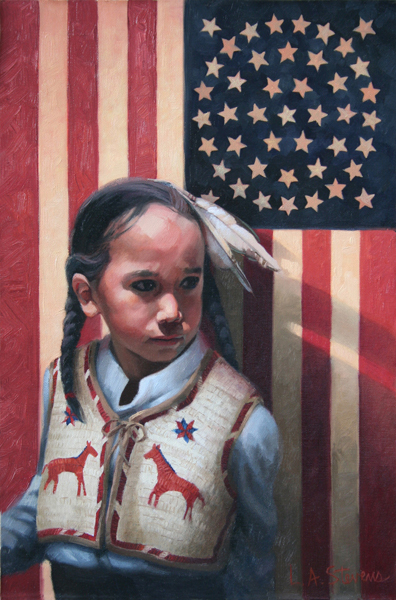 Her work is often a meditation on the “taming of the West” and explores this dynamic between settled life and a reverence for the wild and untamed. Stevens began her career as an artist many years ago in Los Angeles where she spent 12 years working for the motion picture, theme park, theater and entertainment industries as a scenic artist and muralist. She spent time as a member of the Walt Disney Imagineering team, lending her talents to many Disney theme park projects worldwide. Stevens also did some set design, illustration, and matte paintings for several animated children’s movies. Stevens’ paintings can be found in museums, institutions and galleries, including the collections of the Booth Western Art Museum in Cartersville, GA.; the C.M. Russell Art Museum in Great Falls, MT. ; the USAF in Washington D.C.; Phillips Academy in Andover, MA. ; and Marty Skylar, past President of Walt Disney Imagineering. 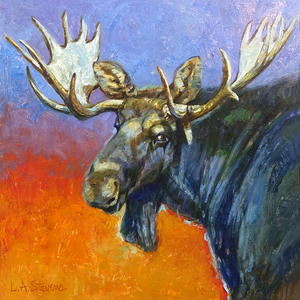 Laurie is a founding member and board member of the Montana Painters Alliance, a Signature Member of American Women Artists, and a member of other national artists' organizations. 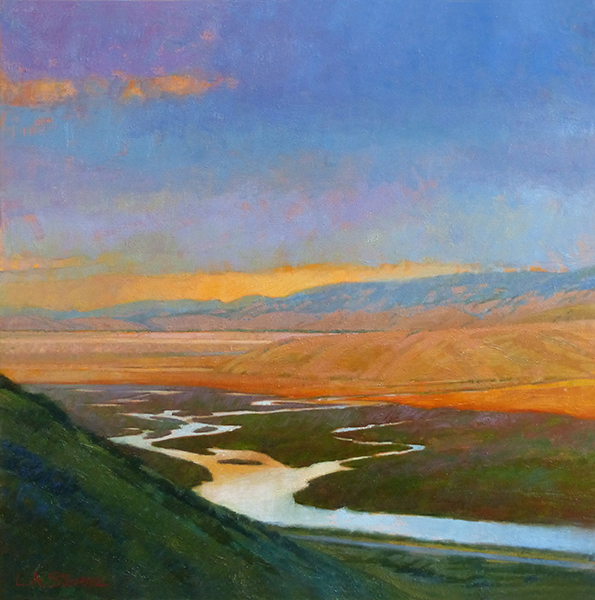 She participates in national shows and Great Falls' Out West Art Show annually.